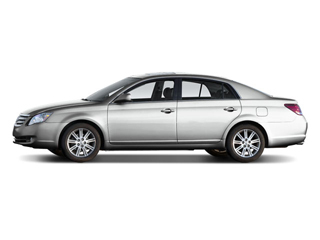 The 2010 Avalon is Toyota's largest, most luxurious sedan, with generous space for five adults, plus an exceptionally smooth, quiet ride and upscale interior amenities that have been compared to higher end luxury makes. While the Avalon is not offered with a V8 engine like some of its competitors, its V6 with responsive 6-speed automatic transmission make it one of the quickest in its class, while the smaller V6 saves fuel. 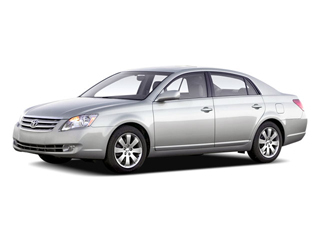 The three trim levels for the 2010 Toyota Avalon range from the comfortable and well-appointed XL to the luxurious and technology-laden Limited, with the intermediate XLS nestled between. Across the line, Avalons are powered by a 3.5L V6 engine with Dual VVT-i variable valve timing, which makes 268 hp and 248 ft-lb of torque. The engine is paired with a 6-speed automatic transmission that provides exceptional performance. 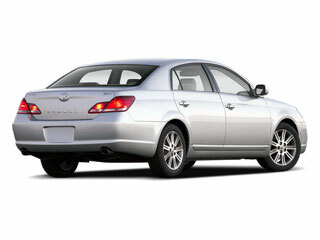 The Avalon can reach 60 mph in 7.7 seconds, yet it carries EPA fuel economy ratings of 19 mpg city and 28 mpg highway. XL models are suitably equipped with features such as 16-inch alloy wheels, tilt/telescopic steering wheel with mounted audio and climate controls, power adjustable driver seat with power lumbar, remote keyless entry, AM/FM 6-disc in-dash CD changer with satellite radio capability, MP3 and auxiliary input jacks, fabric 60/40 split manually reclining rear seats with silver metallic interior trim, auto up/down power windows front and rear and dual-zone automatic climate control. The XLS edition piles on more luxury with amenities that include leather-trimmed power adjustable driver's seat with power lumbar support, a leather-wrapped steering wheel and shift knob, auto-dimming rearview mirror with compass and Homelink, wood-grain style interior trim, 17-inch alloy wheels, power tilt/slide moonroof, integrated fog lamps and power heated outside mirrors with driver's side auto dimming feature. For true opulence, there's the Limited trim, which serves as the technology flagship and includes a power rear sunshade, memory driver's seat, automatic rain-sensing wipers, auto-leveling HID headlamps with auto-on/off feature and Smart Key system with push-button start and remote illuminated entry. A 12-speaker JBL Synthesis AM/FM 6-disc in-dash CD changer with satellite radio and MP3 capability provides entertainment, while Bluetooth technology enables wireless communication with a cellular phone. 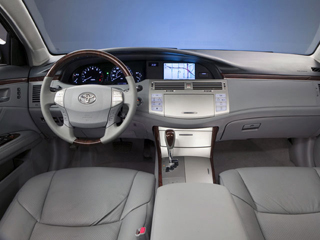 Top options on the Avalon include a voice-activated DVD navigation system, dynamic laser cruise control, 8-way power passenger seat, and color-keyed deck spoiler.